Sorry about that mini-rant. Anyway, back to the topic. 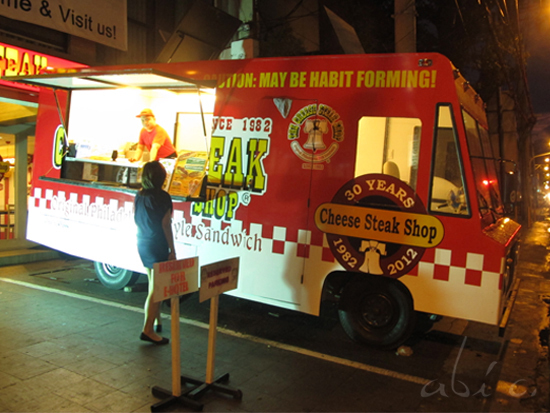 We got to The Cheesesteak Shop on Arnaiz avenue and found out that they were already closing shop! (I wanted to stay in the old branch where the interior design was so quirky!) Good thing, they said their new outlet on Amorsolo st. was already on its soft opening. BUT, the new shop didn’t have all the menu items available, which dismayed my sister who had a craving for Buffalo wings. They have a red food truck! I'm not sure about the routes, but I bet this would be a fun lunch experience! 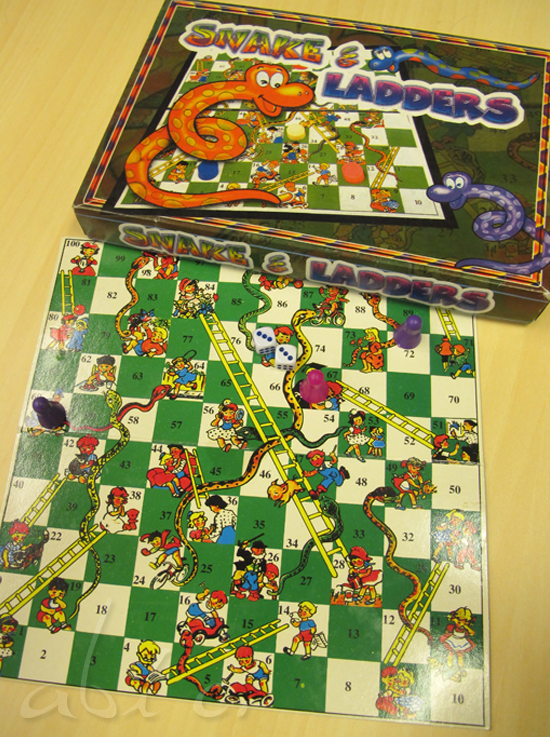 They had board games to entertain you while waiting for your food. 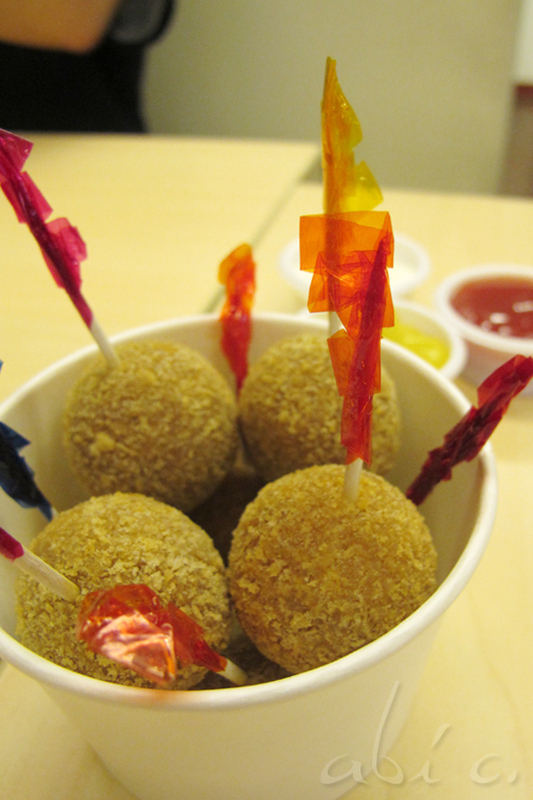 Onto the droolworthy things in this post! 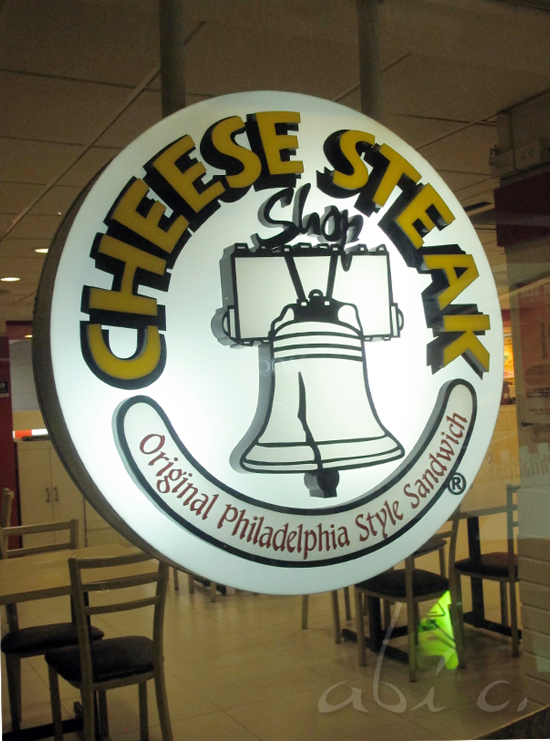 Built by a Philadelphia native and a franchise from San Francisco, The Cheesesteak Shop claims to offer the real deal. I haven't been to Philadelphia but this really hits the spot! 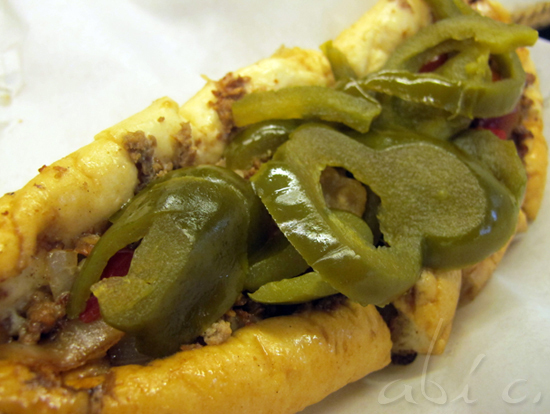 The bread was soft and relenting but hefty enough to support the beef, cheese and peppers. The meat was tasty and tender, cooked just right. The peppers were half sweet and half spicy, complementing the sandwich very well. The sweet peppers reminded me of pickles, which I love. TIP: If you’re not into spicy food, request to opt out of the spicy peppers. My brother kept picking at his sandwich during dinner. But it did not deter him from ordering another one withOUT the peppers this time! 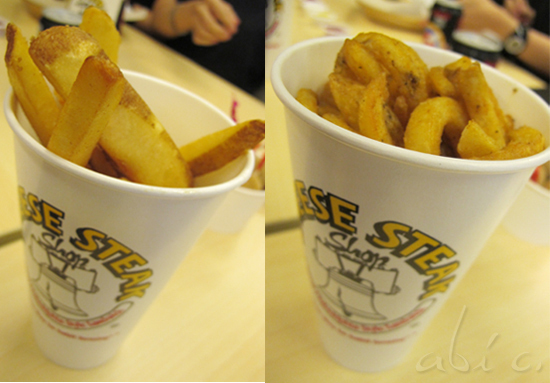 The steak fries were okay. But the curly fries were much better. 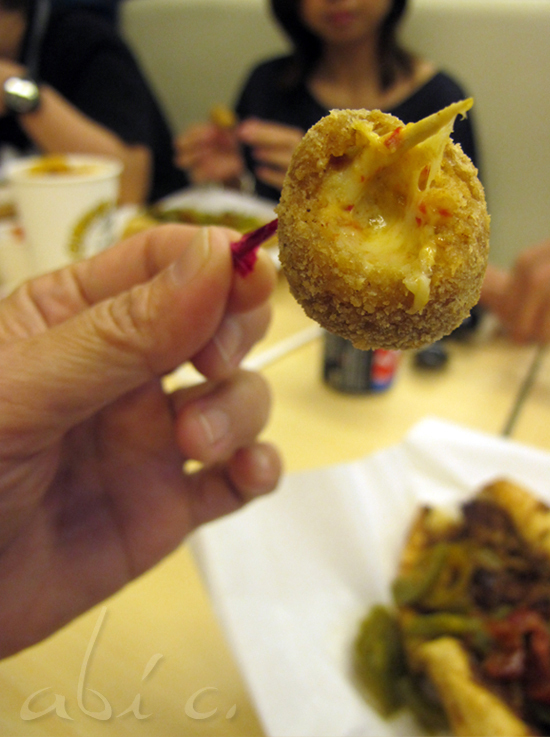 The chili cheese poppers were good. Not die-and-go-to-cheese-heaven-good, but good enough for my sister who almost ate all of it. Overall, the Cheesesteak Shop is a great hangout that offers REALLY GOOD cheesesteak sandwiches and deserves another visit! 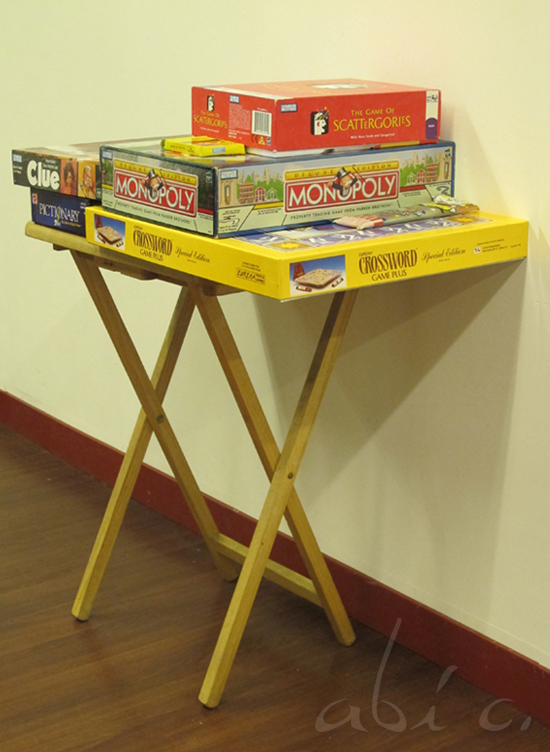 19 Amorsolo st., Legaspi Village, Makati City. 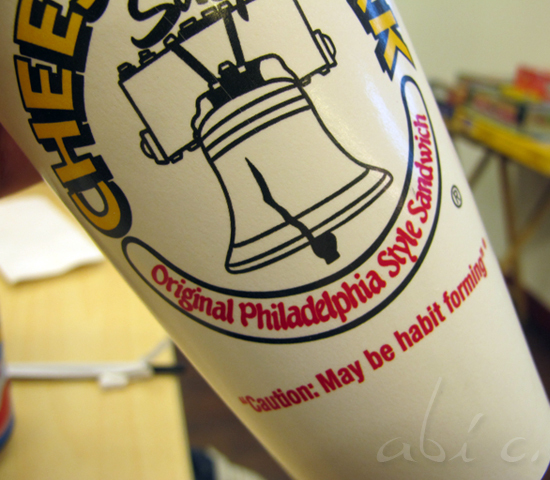 I LOVE cheesesteaks! My Man makes a pretty awesome one! I completely agree with you about the waitstaff at any restaurant when I'm using a coupon or voucher. They seem to be a bit ruder. It's terrible! He's a keeper! :) Lucky you! Looks good! FOllow you on bloglovin, maybe follow me back? Yummy! 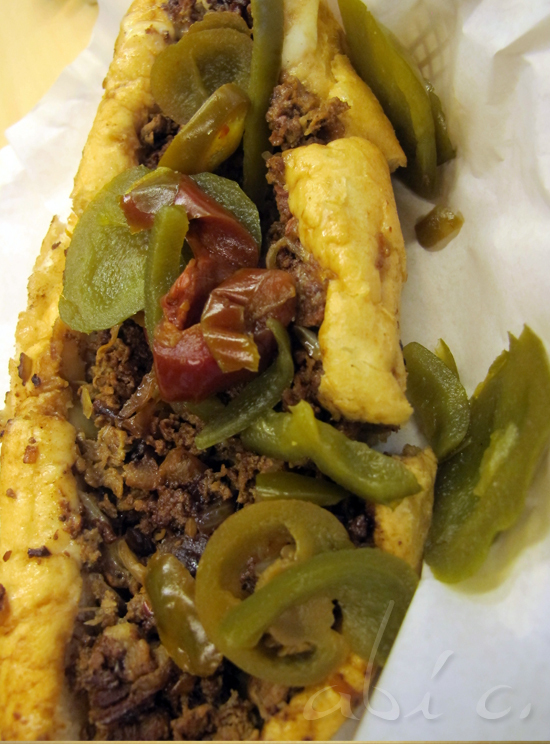 I could really do with a cheesesteak right now - your pictures are making me so hungry haha. I've never had any waiters treat me badly because I was using a coupon, but I do hear it happens sometimes. I guess they feel like they're being shorted on tips since your bill will be lower? You got a point. I can't quite explain it, but I feel like they hate giving discounts to customers. those steaks look SO good!